Wilton, CT- Wilton-based "Brain, Child: The Magazine for Thinking Mothers" has redesigned its flagship print product for the first time in its 13-year history under the guidance of Creative Insight of New Canaan. The redesign is showcased in the company’s Fall 2013 issue, which recently went on sale. 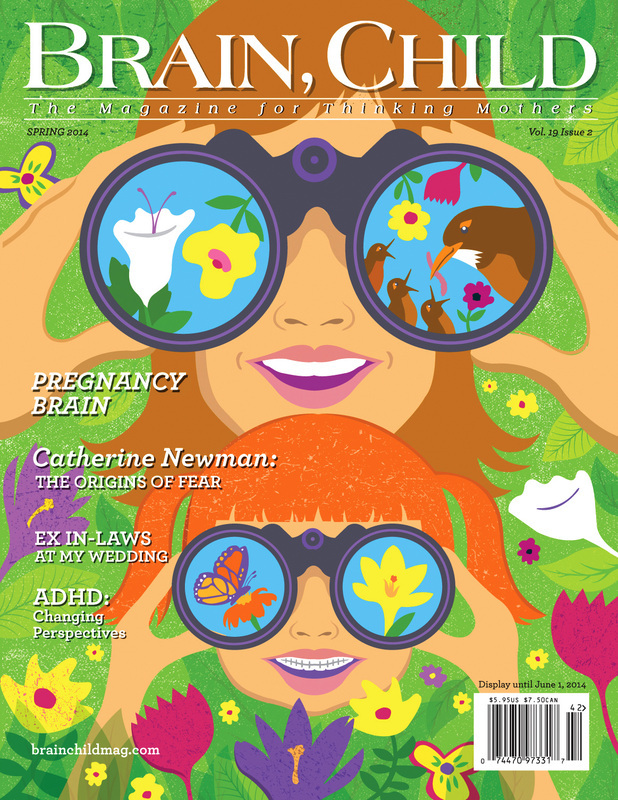 As always, the Fall issue includes Brain, Child’s customary literary fare – essays, fiction and articles that share the wide-ranging experience of motherhood, with a diverse collection of content ranging from perceptions of infertility vs. in vitro, to a mother’s experience with her transgender child, to deciding not to give a baby up for adoption, to life with troubled teenagers. Founded in 2000, "Brain, Child: The Magazine for Thinking Mothers" is the largest literary magazine devoted to motherhood. Each issue contains personal essays, fiction, poetry, news, debate, book reviews and an in-depth feature story. ﻿Stamford, CT– Creative Insight LLC, one of Fairfield County’s most prolific and innovative design agencies, has been awarded the new street banner marketing campaign for the Stamford Downtown Special Services District (DSSD). 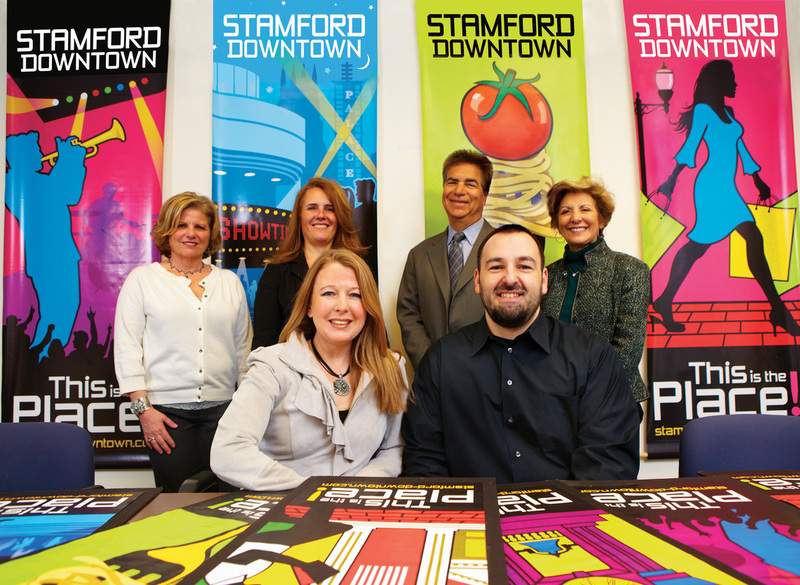 The six illustrated full-color banners, which invite residents and visitors to Shop, Learn, Live, Play, Dine and Work in thriving Stamford Downtown will be displayed throughout the area for the next three years, as well as incorporated into advertising and other marketing media. The winning banners were the creation of Creative Insight partners and art directors Mike Lombardo and Nancy Andersen, whose agency is located in New Canaan, Connecticut. Lombardo illustrated the banners, working in close collaboration with Andersen on conceptualization and development. “Our goal was to create a series of impactful visuals that draw attention to the area and coordinate with the economic environment of Stamford Downtown,” says Lombardo. “We envisioned a vibrant, energetic and modern representation that speaks of Stamford Downtown today,” continued Lombardo. The six graphics executed by the team reflect the many diverse cultures that comprise the experience of working, living, dining, learning shopping and enjoying entertainment in the area. The banner campaign was developed by DSSD to highlight Stamford Downtown as a round the clock city-center encompassing all the key aspects of contemporary living. Creative Insight’s winning banners were selected from a group of eight applicants from top-tier agencies, according to Annette Einhorn, Director of Events and Marketing for Stamford Downtown Special Services District. The submissions were judged by a committee of marketing executives from major companies throughout Stamford Downtown. The Stamford Downtown Special Services District, is responsible for business improvement in the area which includes enhancing the quality of life, promoting live entertainment events and stimulating economic resurgence. Creative Insight is a full-service creative design agency specializing in the development and production of graphic and visual communication print media. Their services include brand identity, banner design, publication, brochures, catalogs, promotions, advertising, collateral material and design for web.